Recently I was up by the Sutter Buttes, on the Colusa highway, or state route 20, when I noticed one of those historical markers placed by the Clampers. I always check those markers; you learn amazing things. For instance, I once learned that the bandit Joaquin Murrieta did not die at the intersection of highway 198 and Doris Road near Coalinga. I’m still wondering why there is a marker for that; but that’s the Clampers for you. And that’s why I always read their signs. 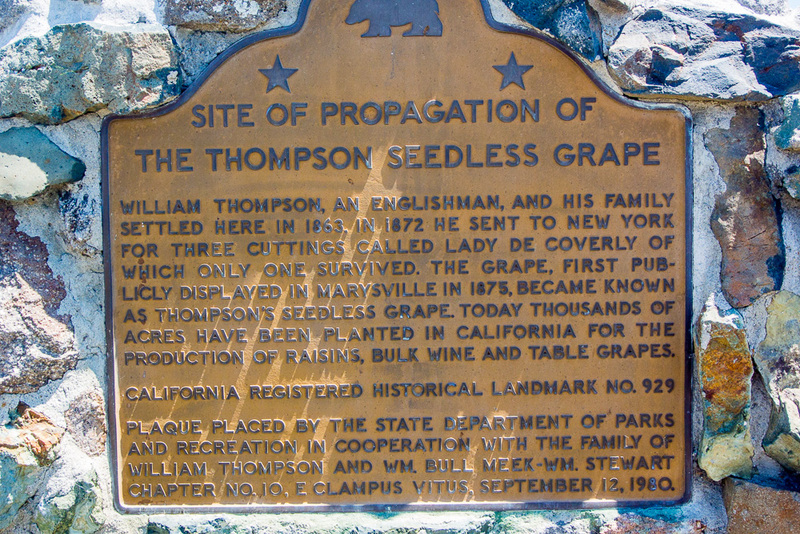 So I stopped to read the sign on the Colusa highway, and learned that this was the exact birthplace of Thompson Seedless Grapes. It happened in 1872. An English farmer had settled on this spot. He sent East for grape cuttings, and ended up with three of the Lady De Coverly variety. Only one of the cuttings survived and grew into a strong vine. The farmer planted cuttings from that vine, and established a substantial vineyard. Eventually he began selling the grapes and the cuttings in Marysville, and since the farmer’s name was William Thompson, people began referring to them as Thompson’s seedless grapes. 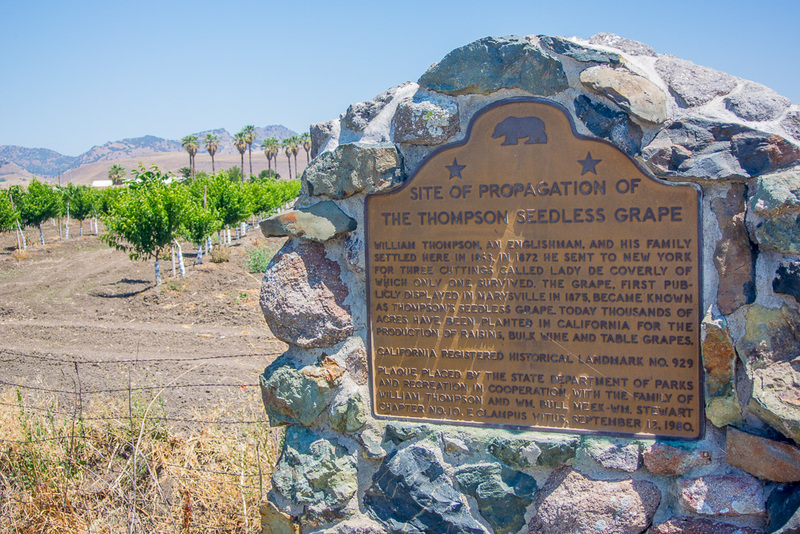 An entire industry sprung from that field, with Thompson’s seedless, or Lady De Coverly grapes forming the basic grape for wine and raisins in California. I looked around in new appreciation – and here’s irony for you: that grape vineyard has been replaced by a new almond orchard. It’s history in motion; one successful crop replaced by another. E. Clampus Vitus: Historians who like to drink, or drinkers who like history?